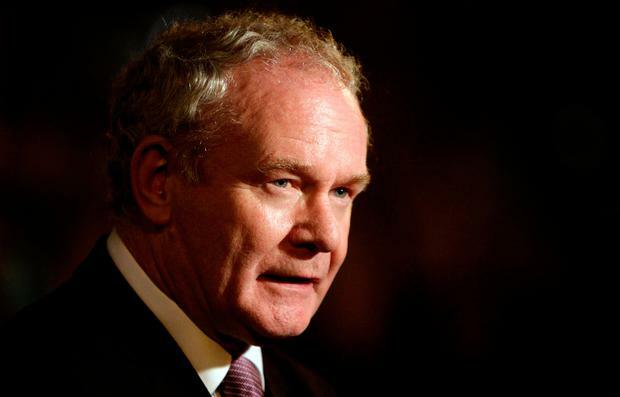 The Mayor of San Francisco has apologised for the "pain" caused by her city's posthumous award to former Northern Ireland deputy first minister Martin McGuinness, which cited his "courageous service in the military". The Certificate of Honour citation lauded Mr McGuinness's role as a "negotiator" who "helped cement and shape the Northern Ireland Peace Process and construct the Good Friday Agreement", but it sparked fury for also praising his "military" role. It was awarded as part of the city's annual St Patrick's Day festivities. San Francisco Mayor London Breed has now admitted that the "language on the Certificate of Honour should have taken more care" to apply her city's values. The apology came after widespread condemnation from politicians and IRA victims. "San Francisco values means respect for the democratic process and non-violent political actions," Ms Breed said. "The language on the Certificate of Honour should have taken more care to apply these values when reflecting the history of Mr McGuinness's life towards peacemaker and his role in the peace process that resulted in the Good Friday Agreement. "I apologise for the pain this certificate has caused." However, the statement did not clarify whether the honour granted to Mr McGuinness would now be withdrawn. More than 2,800 people have signed an online petition asking Ms Breed to rescind the honour. Prior to the apology, UUP MLA Doug Beattie released an open letter to Ms Breed in which he said the award is something that "spits in the faces" of IRA victims. He asked for Ms Breed to "reverse this despicable decision". DUP leader Arlene Foster acknowledged that Mr McGuinness had "undoubtedly played a very important role in the restoration of devolution", but added that "the earlier part of his life was one of violence". She said that Claudy and Coleraine had "suffered indiscriminate car bomb attacks" when Mr McGuinness was a commander of the Provisional IRA in Derry. "These were bomb attacks which murdered pensioners and young children, a reality of IRA terrorism which is likely to be unknown to the mayor of San Francisco," she said. "Neither is it likely she would be aware of the IRA's murder of Patsy Gillespie who was used as a human bomb by the Provisional IRA." Last year, New York Mayor Bill de Blasio was slammed for branding St Patrick's Day 2018 as 'Gerry Adams Day'.